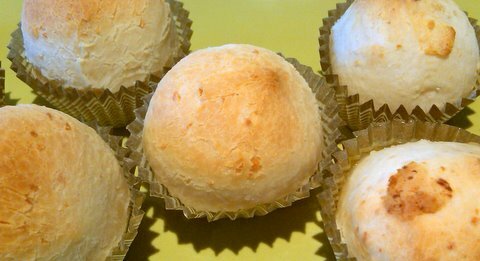 Brazilian cheese bread, known as pão de queijo, is made with manioc starch, derived from the cassava (yucca) plant. According to legend, European colonists settling in Brazil improved the natives' bread by adding cheese to it. 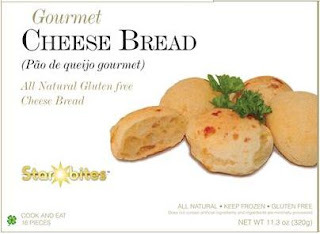 Virginia-based StarBites was formed in August 2008 by a group of Americans and Brazilians who wanted to offer an alternative to traditional party-style appetizers, incorporating multicultural influences such as pão de queijo. The company's gluten-free, all-natural frozen product line includes cheese breads and truffles. Though these items are not made in a dedicated gluten-free facility, the company has established protocols to prevent cross-contamination. The Gluten Free Philly staff recently sampled the products, and agreed that most are worthy of being served to party guests. The traditional bread, made with mozzarella and Parmesan cheeses, and the version stuffed with cream cheese and French herbs were our favorites. (In third place was bread with apricot jam that seemed out of place inside the dough.) To prep, each bite-sized appetizer is placed in a foil cup (provided) and heated at 450°F for about 12-15 minutes until browned. On the sweet side, two of the three truffles were winners: the Brigadier (chocolate truffles of German and Swiss influence) and the Yin & Yang (dark and white chocolate sprinkled with coconut flakes). 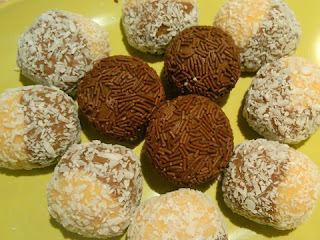 However, none of us liked the sugar-covered coconut Kisses. DISCLOSURE: StarBites provided me with product samples at no cost. Neither I am nor any immediate family member is an employee, officer, director or agent of StarBites or its respective parent, subsidiary and affiliated entities, advertising and promotional agencies. My full Disclosure Policy can be found at the blog's Disclosure page.